The Google Home Max is, without doubt, my favorite smart speaker on the market. It’s $399 price tag put people off for a long time and I think that sticker-shock was warranted. 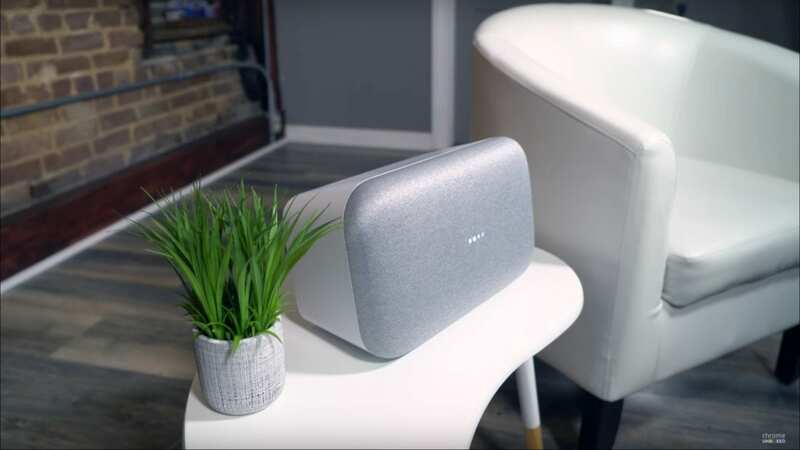 After all, this speaker doesn’t functionally do anything more than the $129 Google Home or the $49 Google Home Mini. In fact, functionally speaking, this speaker does way less than the newer Google Home Hub in many ways. So, the question becomes: why would you buy one? For me and the many people who already own a Google Home Max, the answer is pretty simple: that sound quality. It is easily one of the best overall speakers I’ve ever had the pleasure of listening to. Music just sounds better on this speaker. The low end is full and clear, but also shows up in the lower volume levels as well. The auto-EQ that adjusts to the room automagically makes it sound the same regardless of setting, and the room-filling sound is simply second to none. If you can’t tell, I love our Home Max! For $399, though, it is a hard sell. However, for at least a limited time, you can get the Google Home Max for $299 at just about any retailer you choose. At that price, it becomes so much easier to recommend this ear-pleasing speaker to just about anyone. Take a look at our review if you need another nudge, then choose a retailer, click the button, and head over to take advantage of this deal before it is gone!